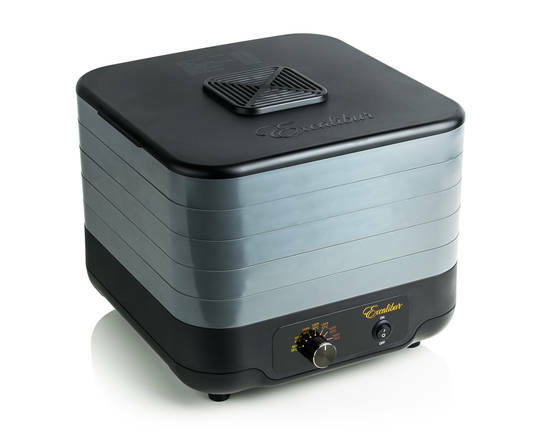 The Excalibur ECB52B dehydrator is Excalibur's entry level dehydrator and only stackable model. 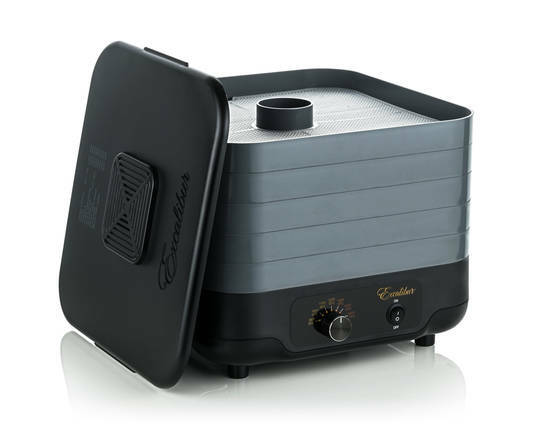 Simple use and premium design is a hallmark of all Excalibur dehydrators, and the ECB52 recreated Excalibur's signature style in a stackable model. 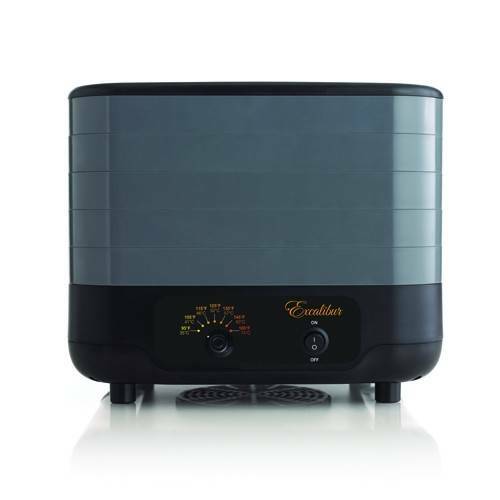 The top-down airflow system distributes air evenly while the square design is easy to store and more space efficient. It´s important to maintain the proper temperature during the drying process. If the heat is too high, the food may “case harden” which means it will feel dry on the outside while moisture remains on the inside. 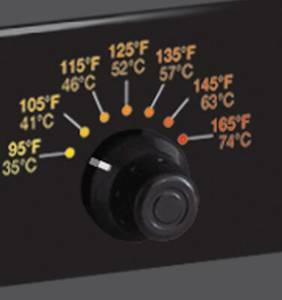 If the heat is set too low, the drying time and electrical consumption increases. Meats and fish should always be dried at the highest temperature setting. 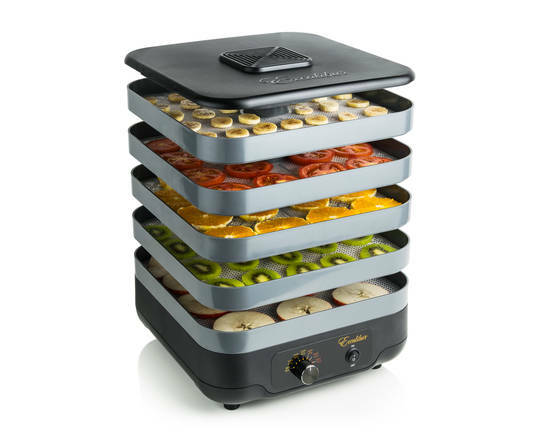 The Excalibur dehydrator ECB52B offers an adjustable thermostat from 35°C to 74°C which allows you to dry a wide range of foods at their optimum drying temperature. 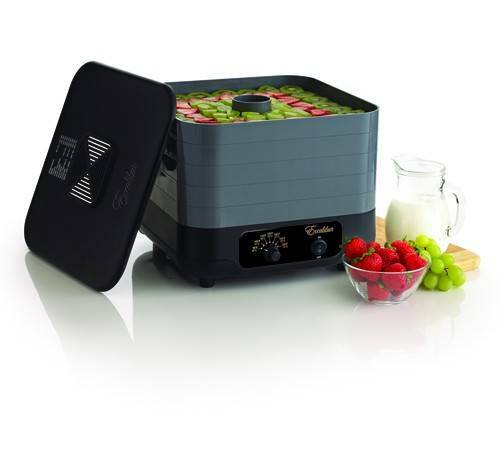 It´s easy to prepare homemade yogurt with the Excalibur dehydrator ECB52B. 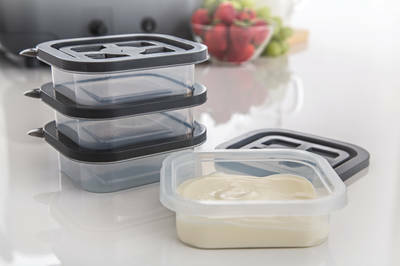 It includes 4 yogurt containers which fit perfectly in the dehydrator. Add 1 cup powdered milk to 1,89 liters of low-fat milk. Scald for 2 seconds. Remove from heat and cool to 46ºC. Add 2 tablespoons of non-pasteurized plain yogurt to the cooled milk. Pour into containers and cover. 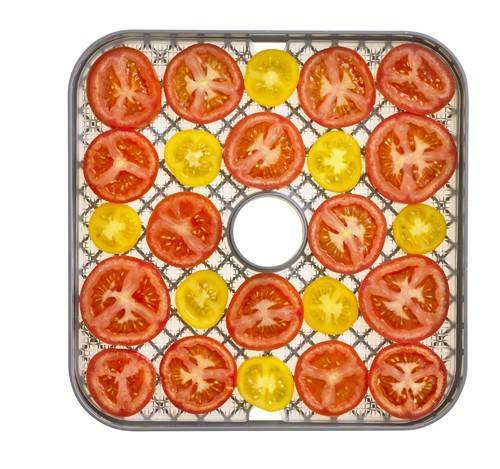 Incubate in the dehydrator at 46ºC for 5 hours. When finished, refrigerate. 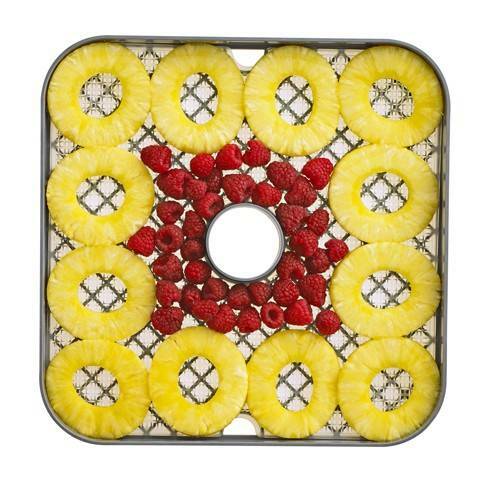 Before serving, add flavors or fresh fruit if desired.